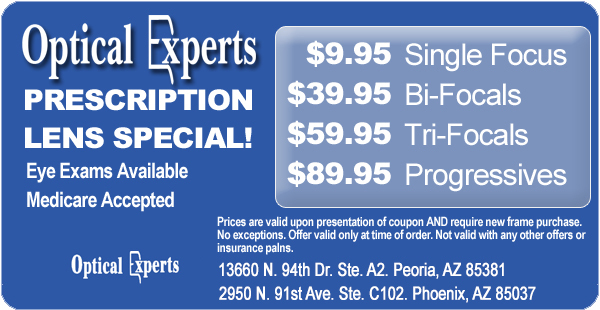 Optical Experts Doctor of Optometry Sun City Peoria | Optical Experts offers eye exams, prescription glasses and a variety of frames to choose from. 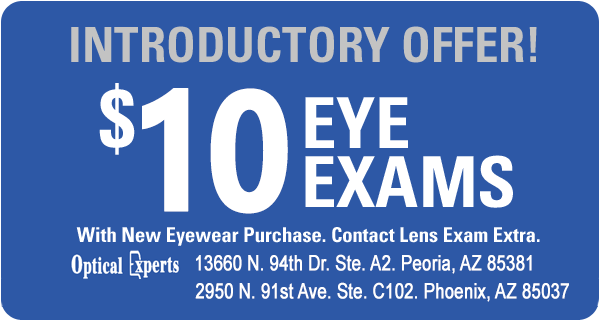 If you’re like most people, choosing eyeglass frames may seem like the most important part of what you’re doing when choosing a new pair of glasses. After all, the fashion frames and frame styles you select are a unique expression of your individual personality. We’ll take the mystery out of sunglasses and help you understand what to look for when you buy a pair. We’ll analyze the different styles and look at the technology behind the different lens compositions. 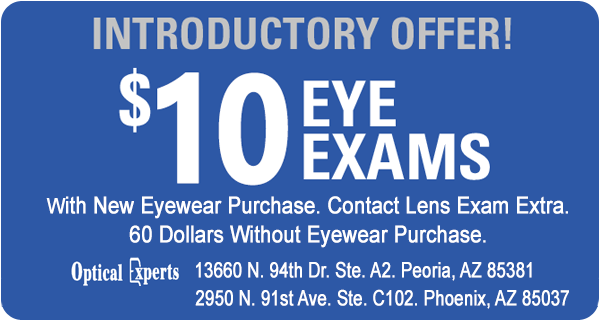 Please fill out this form and we will get in touch with you shortly or call 623-815-1600 (Peoria / Sun City Location) / 623-877-2481(Phoenix / Avondale Location) for an appointment. Our designer eyeglass frames can be paired with our wide variety of lenses to create stylish eyeglasses, sunglasses, bifocals and more.